Jeff Ansell joins us to talk about crisis communications, media relations, social media, and his new book "When the Headline is You: An Insider's Guide to Handling the Media." Ketchum Chief Innovation Officer Karen Strauss joins PRNewser's Tonya Garcia to talk about the new student crowdsourcing site Mindfire. PRNewser editor Tonya Garcia talks with Aaron Goldman about his new book "Everything I Know About Marketing I Learned From Google." 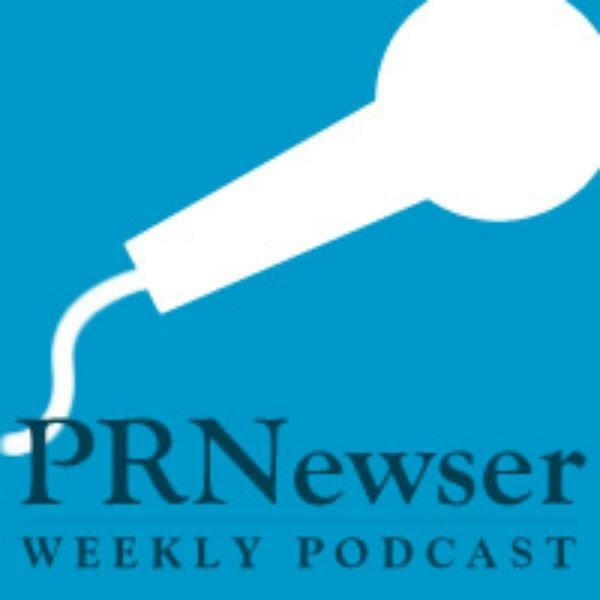 This week on the PRNewser podcast, we dive into the world of entertainment and celebrity PR with Crushable.com deputy editor Amanda Ernst. Our guest this week is Patrick Gavin, staff writer and videographer for Politico. We'll get the latest from inside the beltway from Gavin, who previously edited mediabistro.com's FishbowlDC blog. Our guest this week is Meghan Keane, US Editor for eConsultancy. We'll talk World Cup sponsorships, geo-location wars, and recap president Obama's oval office address last night.